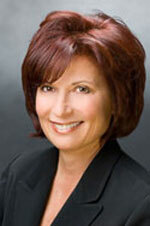 Suzanne M. Avena is Of Counsel to the firm. She is also a member of the firm’s Environmental Practice Group; Finance and Real Estate Practice Group; Compliance Practice Group and Litigation & Arbitration Group. Ms. Avena counsels in all matters of environmental law and regulatory compliance, including conducting compliance and due diligence audits, negotiating with federal and state agencies regarding violations and representing clients in environmental litigation. She represents parties engaged in hazardous waste cleanups, litigation related to toxic substances, remediation, insurance and cost recovery actions. She has particular experience in structuring contaminated (Brownfield) commercial property transactions, including negotiating cleanup agreements, overseeing remediation contractors, drafting related contracts, facilitating development permits and forging deal-specific environmental insurance policies. Ms. Avena represents municipalities, manufacturers, real estate buyers, sellers, developers and management firms, lenders, investors, hospitals, universities, environmental contractors and consultants, and other business owners. For five years prior to GW, Ms. Avena was with the New York Environmental Practice at Paul Hastings Janofsky & Walker, LLP. Before that, she was an attorney at AIG Environmental, serving as Director of the Contaminated Property Group. Prior to AIG, Ms. Avena was Regional Director of the Environmental Risk Consulting Practice at Sedgwick (now Marsh). During law school, Ms. Avena clerked at the NYS Department of Environmental Conservation in Stonybrook, Long Island and the Environmental Crimes Unit of the Suffolk County District Attorney’s Office. Ms. Avena received her Bachelor of Science from Cornell University and her Juris Doctor degree from St. John’s University School of Law. She is admitted to the New York State Bar, Second Department and the US District Court Eastern and Southern Districts. She lectures and writes frequently on such topics as Superfund liability, green buildings, indoor air and environmental quality issues, environmental due diligence and environmental insurance.